This is not the way portraits are usually made or, thread and looms are used. 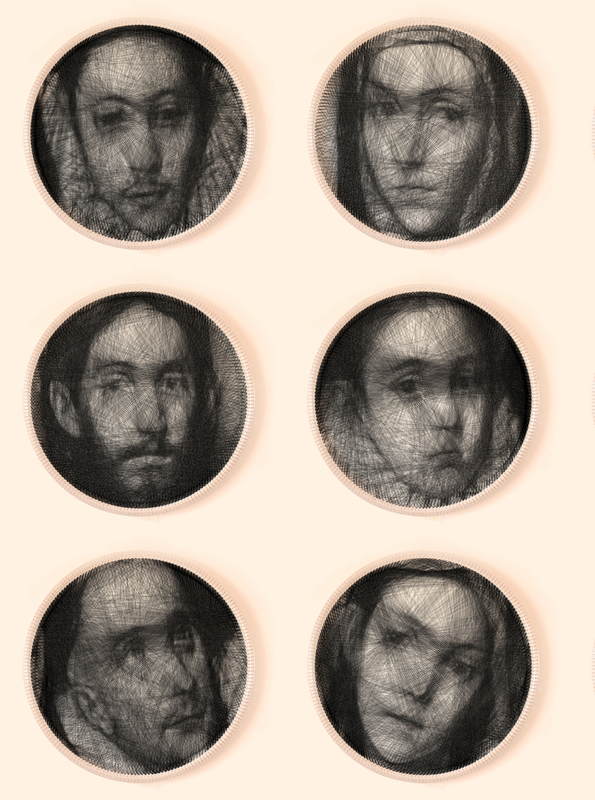 Greek Artist Petros Vrellis uses a loom and thread to create these incredible portraits. The thread is looped about 3 to 4000 times, around the loops around the circumference. 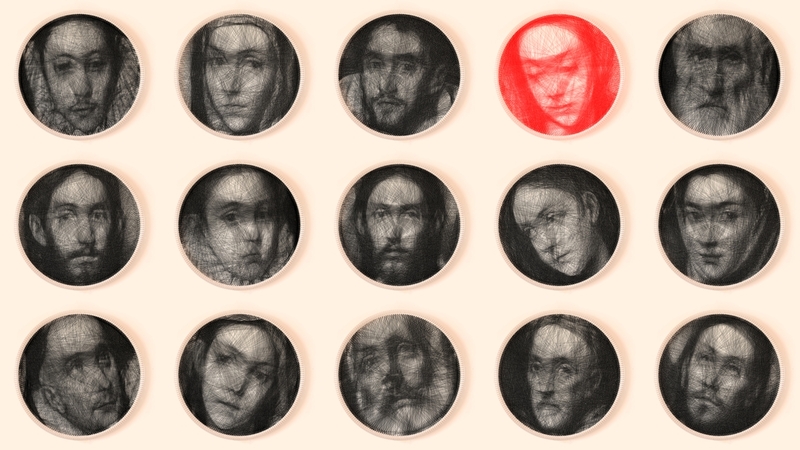 The amount of thread needed to create the portrait measures 1 to 2Km (0.6 to 1.2 miles). 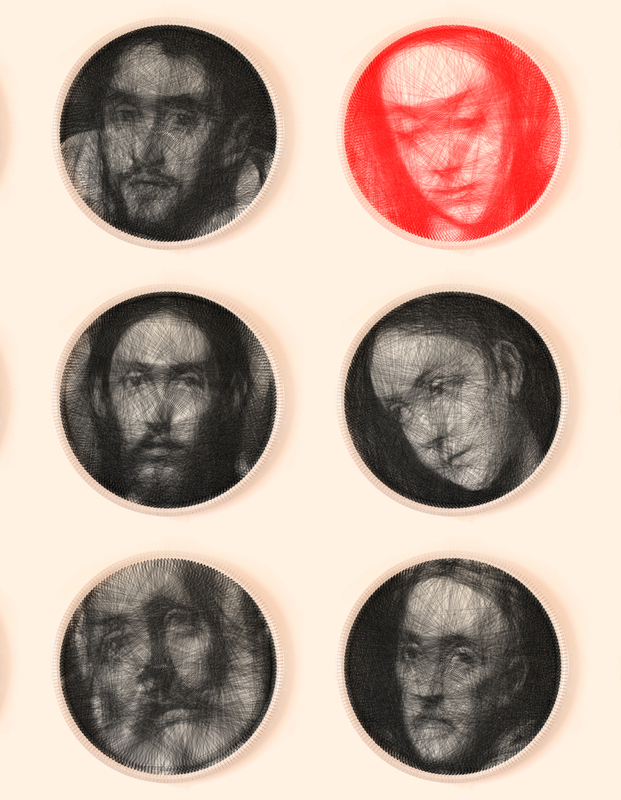 The dark and light, that determine the features of the portrait, depend on how many strands of black thread overlap each othre. The pattern is generated from a specially designed algorithm and is then executed by hand, see the video below. Over 2 billion calculations are needed to produce each pattern. A new way to knit.